The piano is an extremely delicate instrument. In the wrong hangs, it can be damaged beyond repair: its musical qualities and its beauty can be irrevocably lost. 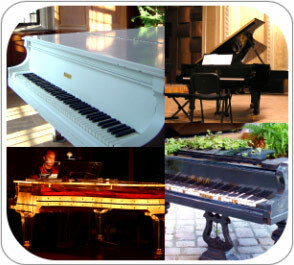 Benini Moving and Storage specializes in moving grand pianos, upright pianos, and organs of all sizes. Our dedicated relocation professionals are highly experienced and knowledgeable. We will protect your prized instrument with wrapping and padding to avoid any scratches. At Benini we are committed to the safety and security of your valuables. Contact us today to get your fast, free moving estimate.